1. Size: M6 x 20 x 25mm/M6 x 0.79" x 0.98"(Thread Diameter*Thread Length*Base Diameter), high-quality metal and plastic base. If the range of the mounting hole size is 5.19-5.38mm/0.20 Inch-0.21 Inch, you can use these leveling feet to install your product feet. 2. The length of the screw can be adjusted according to the needs during the use. You can use these leveling feet to install your product feet. The good flexible adjustment provides a perfect experience. 5. It can protect your furniture, beautiful hardwood, ceramic tile and linoleum floors from marring and scratches. And the plastic base can keep them from sitting on the moist floor and it will not leave rust rings anymore all over your ground. 6. The adjustable leveling foot is for office or household furniture even industrial machine with threaded sockets. It is a great accessory for DIY products. It was applied to all kinds of steel and metal furniture, such astable, stool, chair, all types of mechanical equipment, fitness equipment, racks, TV stands, shelves, beach chairs and so on. 7. 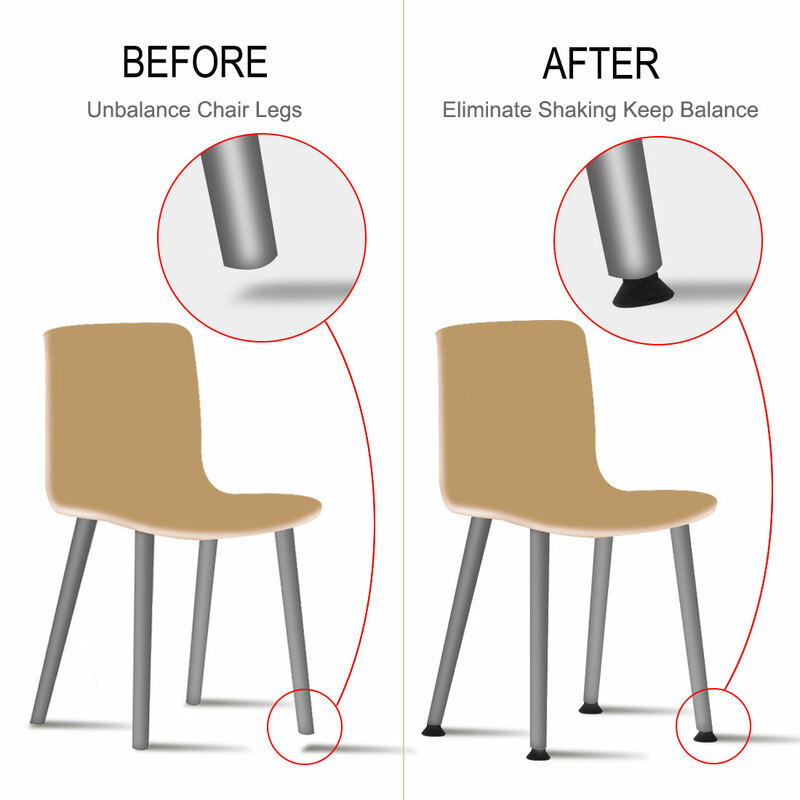 Install it to adjust the height of the device, the device is firmly connected with the ground to provide a better support, maintain the level, avoid displacement and shaking of the device during the use. 8. Install it to increase the height of your product while improving the overall stability, decreasing the overall area of the product in contact with the ground, reduce frictional resistance, then move more effortless.